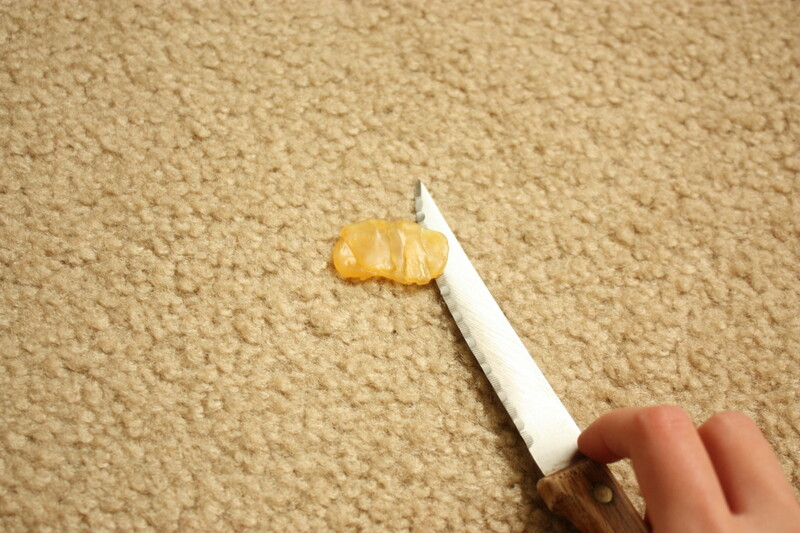 I freaked out when I dropped some bikini wax on my bedroom carpet, but removing it was such a cinch! I really hope this tutorial helps you. 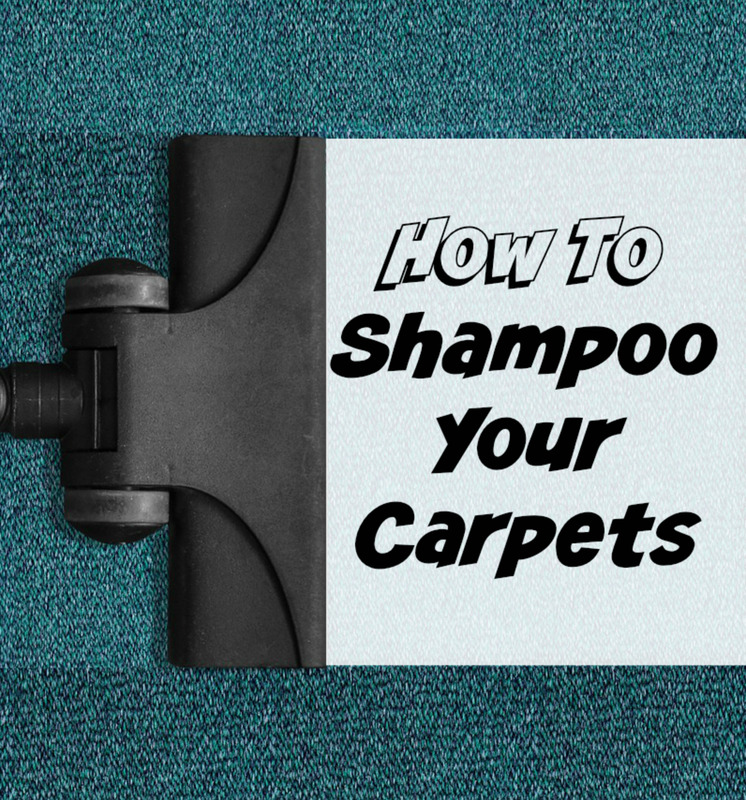 If you've accidentally knocked a candle to the floor or dropped a glob of hair-removal wax on your carpet, don't worry—it isn't ruined forever! 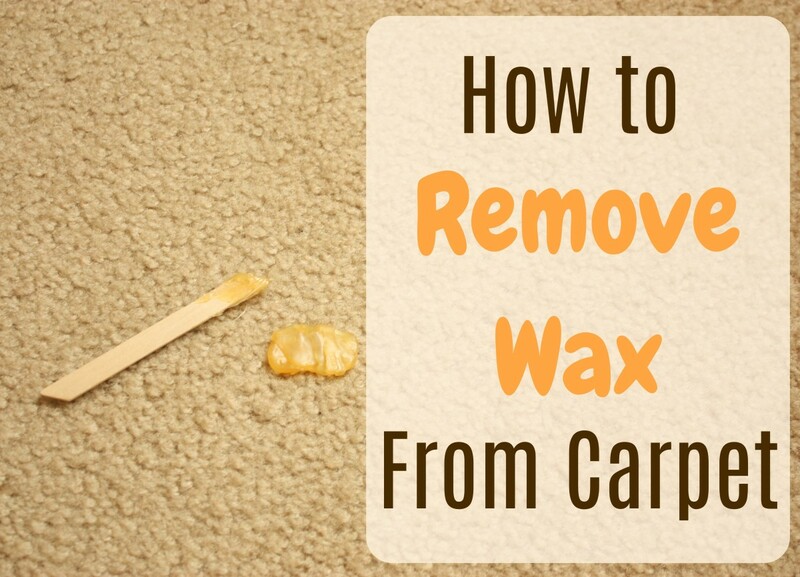 You can use the easy, foolproof method below to get rid of wax from your carpet fibers. I recently purchased a Brazilian bikini-waxing kit, and I clumsily dripped a big glob of wax on my bedroom carpet as I was trying to apply it to myself. 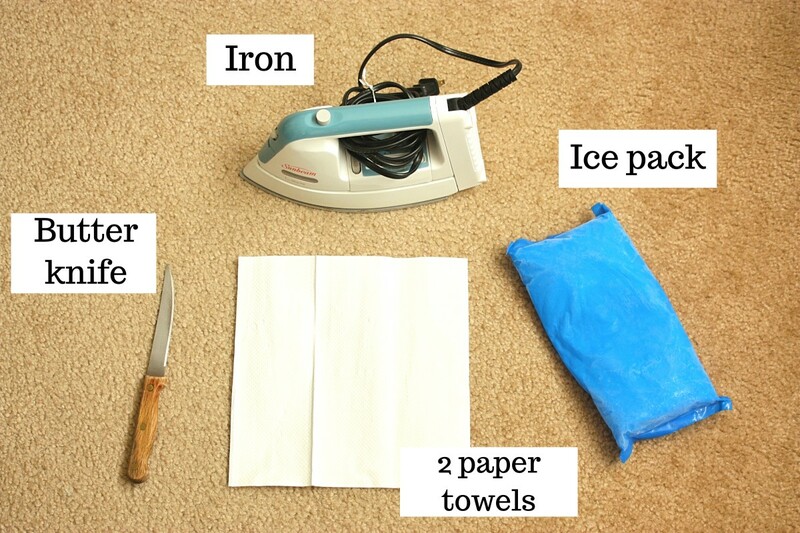 I used the ironing method below, and it seriously saved my life (and my security deposit)! 1. Let the wax harden, or freeze the wax. We have to let the wax harden before proceeding. 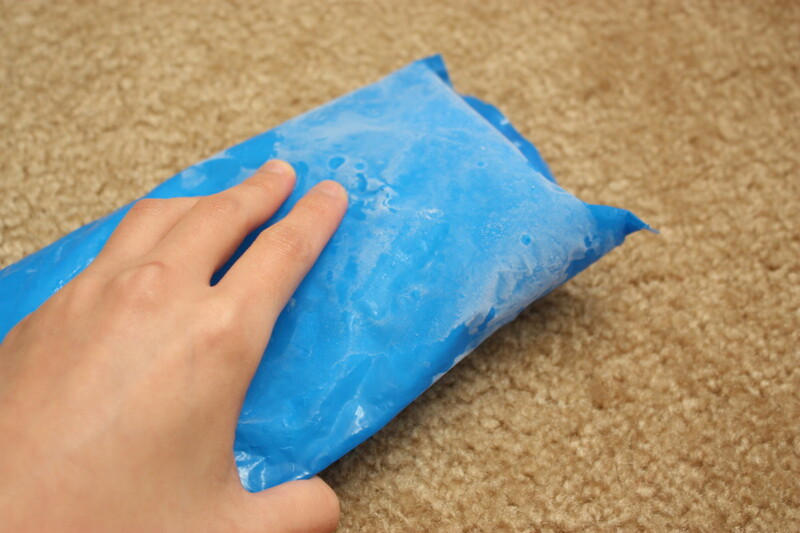 If the wax is still soft, place an ice pack or a bag of peas over the area to harden the wax quickly. 2. Scrape off wax with a butter knife. Once the wax has hardened, scrape off as much of it as possible with a butter knife. The less wax that is left, the easier the job will be in the end. Note: This step is optional. 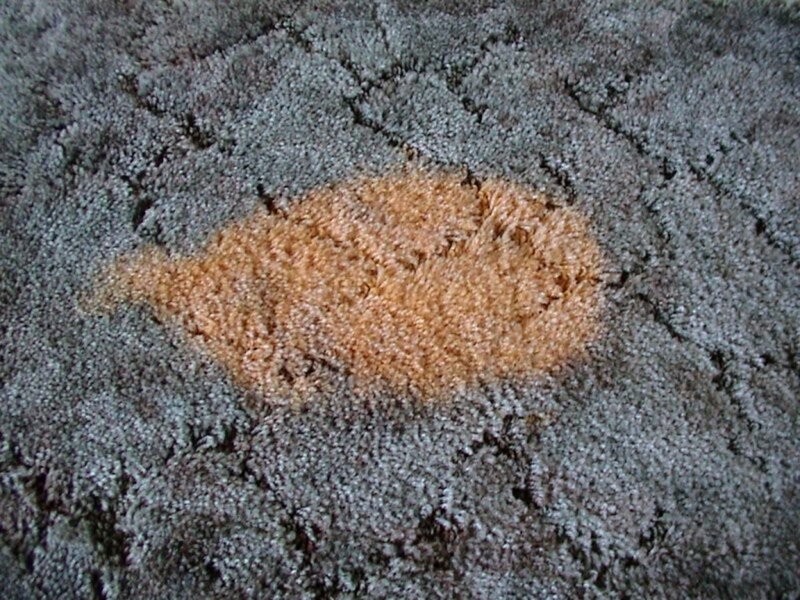 If you have expensive carpeting, it is better not to scrape off the wax, as you may inadvertently pick off some carpet hairs along with it. 3. 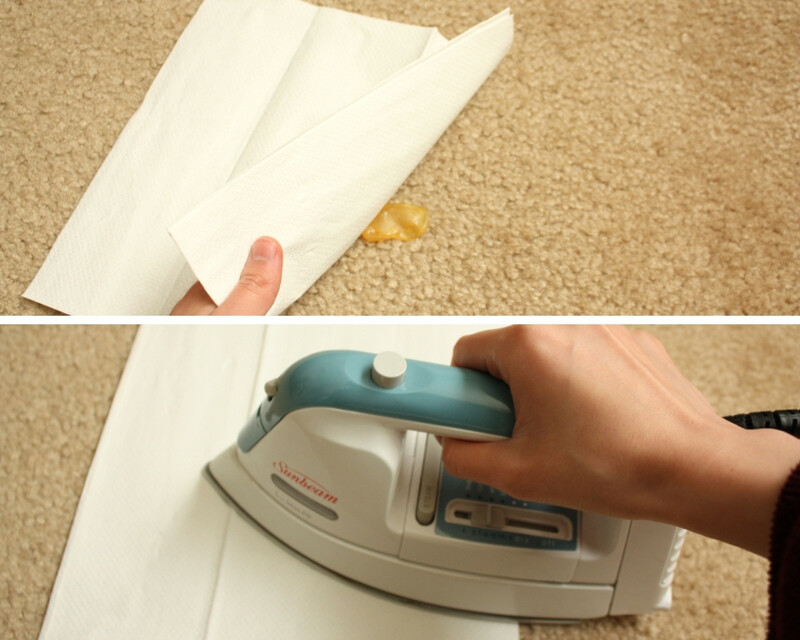 Iron the wax stain onto a paper towel. You will now place a piece of paper towel over the wax (a paper bag works fine too). Turn the iron onto medium heat (don't use steam), and run it over the paper towel until the wax melts and absorbs into the paper towel. Remove the paper towel to see how much wax has been absorbed. 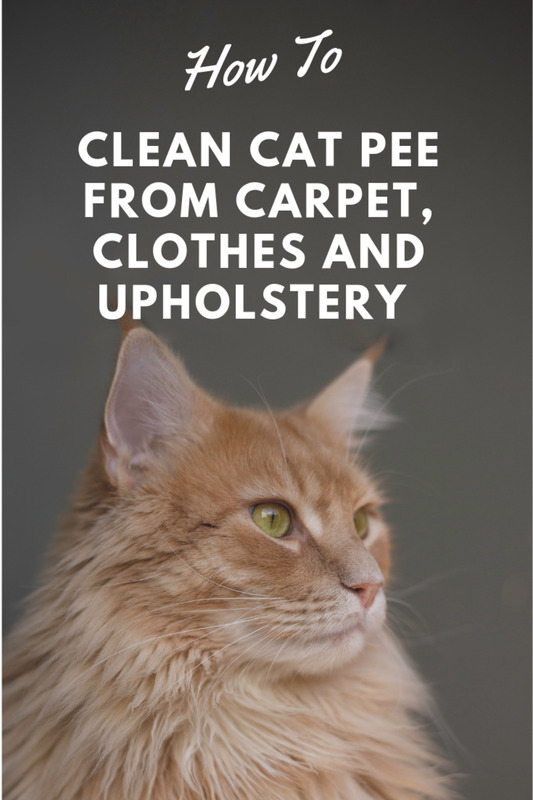 If there is still some left on the carpet, use a new paper towel and repeat until all of the wax is gone. Important Note: Do not leave the iron on for too long or use a high-heat setting. If you do, you'll end up burning the paper, and it will get absorbed into the wax rather than the other way around. What If I Don't Have an Iron? You can also use a hair dryer to remove wax. Just turn it onto the highest setting and slowly run it over the paper towel at a close distance. 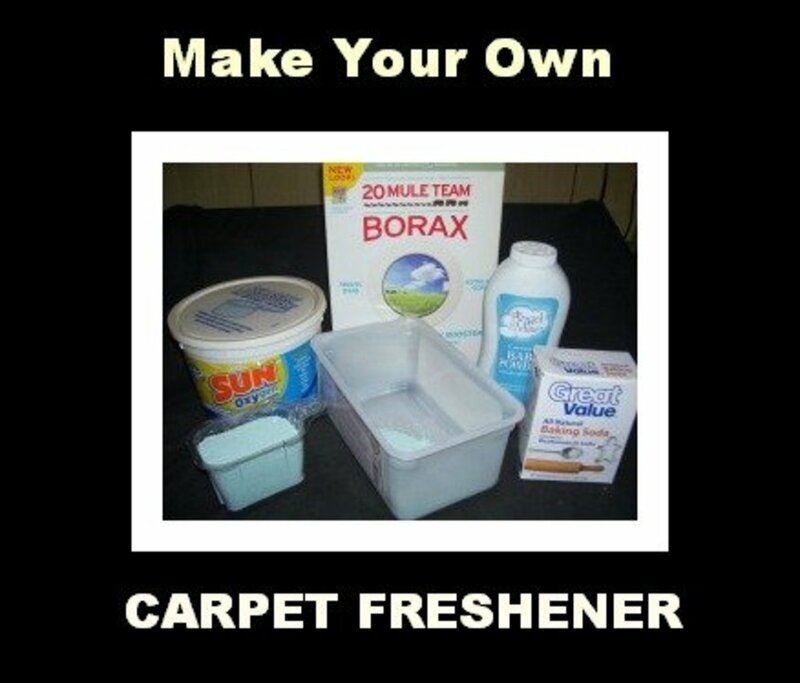 The wax should melt into the paper towel and off your carpet. 4. Get rid of dye stain with alcohol (if applicable). 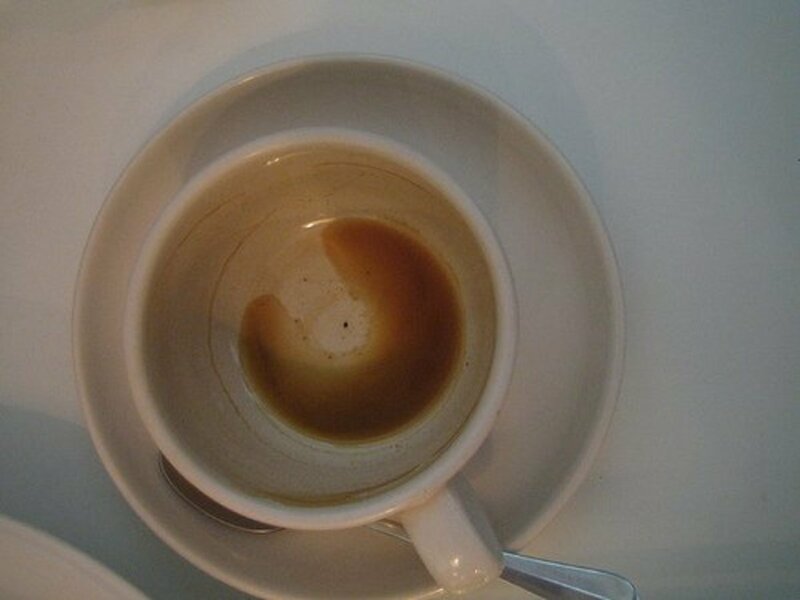 If it was a colored candle, you might see a dye stain left behind even after all the wax has been removed. 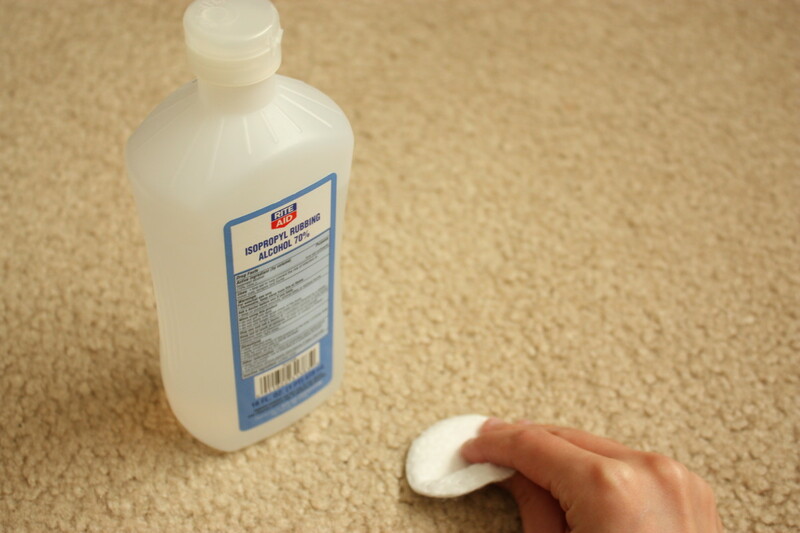 Use a dab of rubbing alcohol and a towel or scrubbing brush to scrub out the stain. 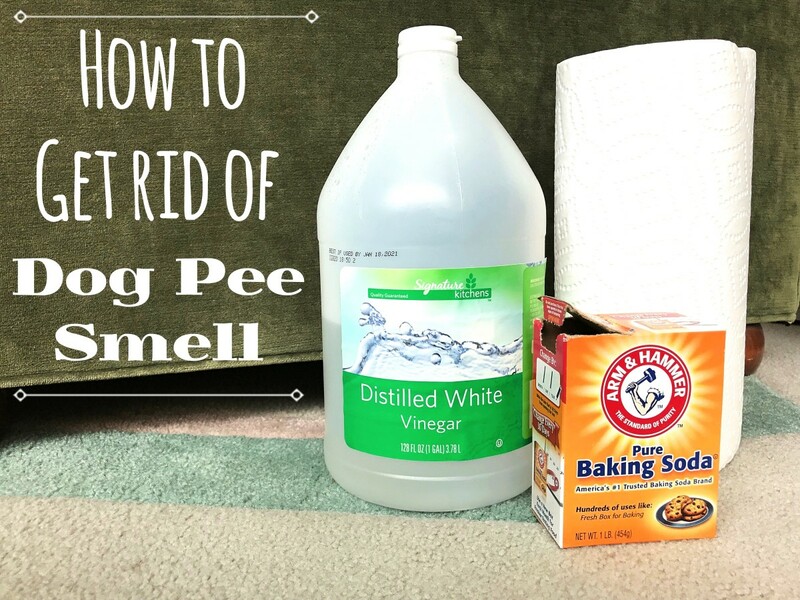 You can also use vinegar instead of alcohol, but this is a milder solution, so it may not be as effective. 5. Clean and vacuum the area. 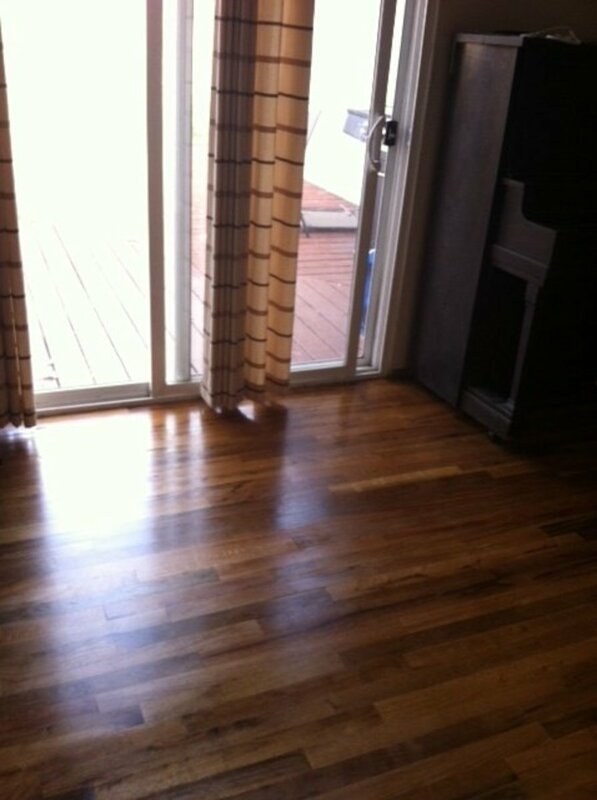 Clean the area with your regular cleaning agent and vacuum. 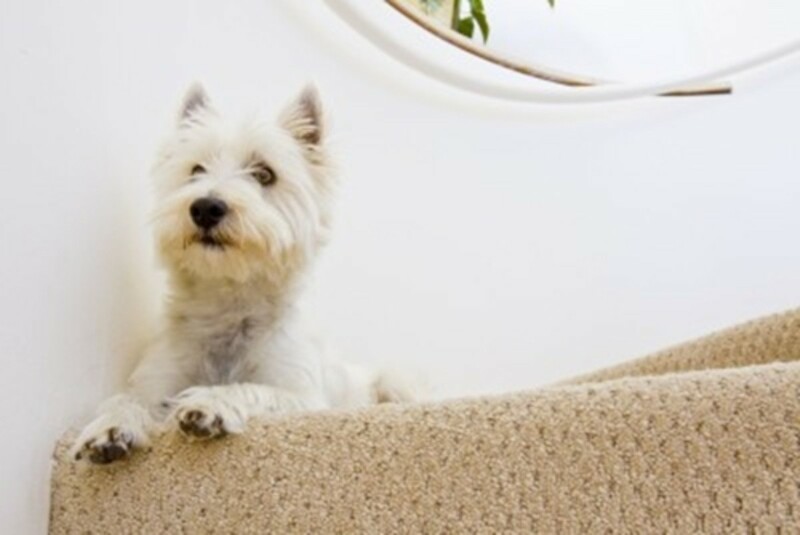 Your carpet should be as good as new! I freaked out when I dropped some bikini wax on my bedroom carpet, but removing it was such a cinch! I really hope this tutorial helps you. Let me know in the comments!